Today this is where the dock fence stands, behind it, covered with tarmac is several acres of car parking for the numerous cars coming into and leaving Tilbury Dock. 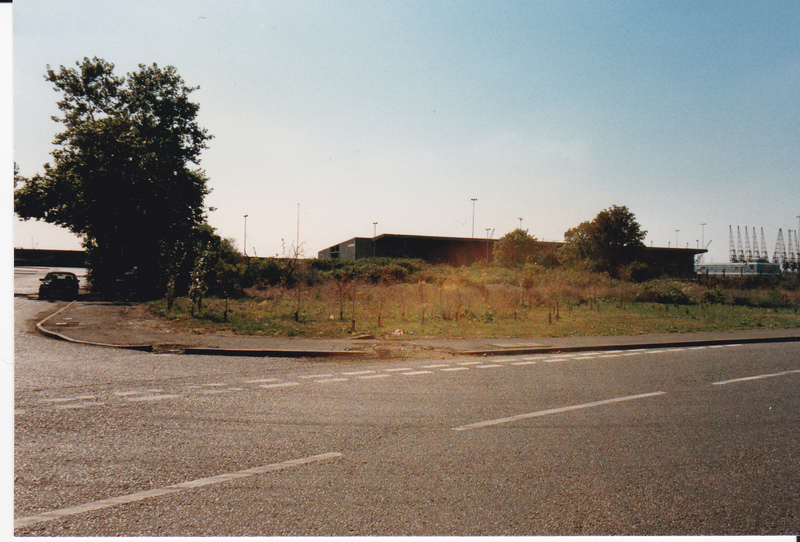 In the early 90’s when this was taken it was simply what you see here, scrub land where the PLA houses in Peninsula Road stood, with Orient Road further over to the right. It seems unbelievable now but before the current Main gate was opened up near Tilbury Dock station, this was the main gate into the dock. I’ve just re-read my post and realised the last bit.. about the dock gate isn’t quite correct. I should have said the Main dock gate at the time my family lived there was in fact at the top of our road and then left into St Andrews Road, just along past the hospital. Hope that clears up any misunderstanding.